Cannabis has long been known to make adherence to HIV medication bearable. In fact, the virus is one of the foremost qualifying conditions for medical cannabis in the majority of legal states. After all, it was a key driving force in the original crusade to legalize the plant. A growing number of states — not including CBD oil-only states, or states with undefined lists of conditions — explicitly include HIV or AIDS as a qualifying condition for medical marijuana: As of 2019, that includes Alaska, Arizona, Arkansas, California, Colorado, Connecticut, Delaware, Florida, Hawaii, Louisiana, Massachusetts, Michigan, Minnesota, Missouri, Nevada, New Hampshire, New Jersey, New Mexico, New York, North Dakota, Ohio, Oregon, Pennsylvania, Rhode Island, South Carolina, Utah, Vermont, Washington, and West Virginia. Despite the widespread acceptance of cannabis for alleviating symptoms of HIV, there is much more to be learned about the actual mechanisms of the plant in reducing neurocognitive issues and inflammation — some of the most detrimental effects associated with the virus. People living with HIV often take steroids or other potent drugs that are hard on the kidneys, making it difficult to distinguish what symptoms come from HIV and what symptoms come from HIV drug regimens. HIV drugs powerfully annihilate HIV cells in the bloodstream to undetectable levels, but the virus still reaches the deepest reservoirs in the body, such as in the bone marrow or in the brain, where drugs cannot always reach. As a person living with HIV, I can affirm cannabis’ ability to noticeably improve the quality of life — especially considering the often toxic HIV drugs that I’m consigned to take daily in order to stay alive. For over three years, I had to take a mandatory daily dose of Atripla — a three-drug pill containing the hallucinogenic drug efavirenz. It was the first drug I was prescribed, and I was casually warned that efavirenz may cause “weird dreams.” On the third day of taking Atripla, I experienced profound hallucinations, much more like a full-blown acid trip than a dream. Then it happened about every three days. Researchers have confirmed the medication’s LSD-like properties. I consumed or smoked cannabis daily to take the edge off of efavirenz and ‘roid rage caused by testosterone. Consuming cannabis was the only way for me to stay grounded when the hallucinations made it difficult to distinguish reality. It’s also the only thing that works to lower constant digestive irregularity and provide mental clarity, like resetting my brain. While HIV is considered to blame for the cognitive issues, researchers have linked some neurocognitive problems to efavirenz itself. “Efavirenz commonly causes early neuropsychiatric side effects, but tolerance develops in most patients,” wrote a South African research team in a 2013 study published in Expert Opinion on Drug Safety. “There is emerging evidence that efavirenz use may damage neurons, which could result in impaired neurocognitive performance.” In South Africa, efavirenz is more commonly abused recreationally. This, coupled with HIV, spells bad news for the cognitive abilities of people living with HIV. Eventually, I got tired of tripping every three days. After three and a half years, I switched from Atripla to a pill called Stribild and then finally Genvoya, which both have fewer side effects. 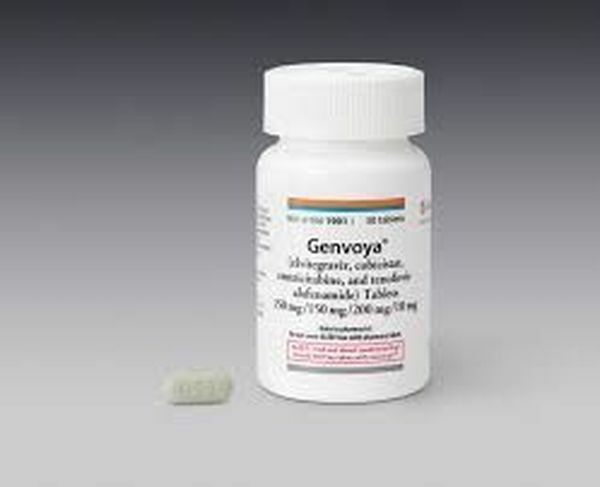 Each time a new pill is released, it is branded as less toxic — as in the case of Genvoya. Cannabis’ status under Schedule I makes it harder for researchers like Kaminski to get things done. Kaminski and his research team don’t give study participants medical cannabis. Instead, they provide them with questionnaires and compare the patients who use medical cannabis to those who don’t. Kaminski’s team also used GB Sciences’ cannabis-based neuroprotective compounds in its research. 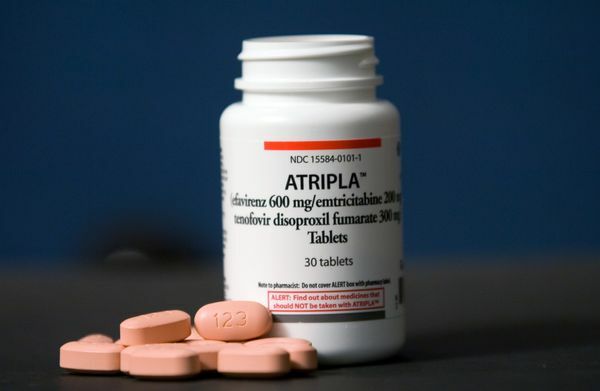 Modern HIV drugs, called antiretrovirals, work relatively similar to antibiotics — in the sense that if you skip days of pills, you can develop a resistance and it will eventually render the drug useless. Drug resistance is a consistent major issue for otherwise effective HIV drugs. It’s also one of the reasons why people still die of AIDS today, even though there are now so many effective drug options to choose from. Some people are subject to superinfection with multiple strains of HIV, and others were infected with supercharged multidrug-resistant HIV strains.